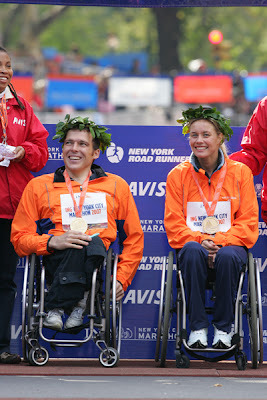 For complete information about the Marathon and this year's winners, please visit the New York Roadrunners site at http://www.nyrr.org/. You may consider entering the 2008 race. If you missed Part I and II of Jerry's story Marathon Sunday - From a Runner's Diary, please go to http://www.postcardsfromnewyork.com/. It takes about ten minutes before you are no longer part of the crushing wall of humanity surging forward. You are now on your own and the silence is broken only by the sound of heavy breathing, feet pounding the pavement, and occasionally words of encouragement from other runners. The sound of breathing and feet pounding on the pavement begins to have a rhythm of its own. 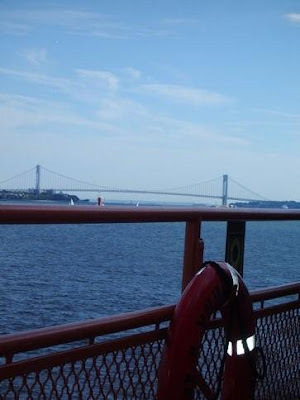 Once over the Verrazano-Narrows Bridge you are in Brooklyn. Suddenly the air is full of excitement. People line the sidewalks to cheer us on. Men are playing music on the tops of garbage cans, solitary garbage cans are on fire, and people run in the streets to give you hi-fives. The next borough is Queens. Here, the noise and people are fewer. You can take water from the fluid stations at every mile; Boredom comes and goes. The steady beat of pounding feet on the pavement can still be heard. I cannot remember my thoughts during the race. My mind was fighting fatigue and telling me to continue staying completely in the moment. From time to time I would think, "will this never end?" When we finally reach the Queensboro Bridge, the thought comes to me, "how wonderful is this." Never again will I be able to run inside the bridges of New York. There is something magical about running over a bridge with a crowd of other runners, the pounding of the feet, the water below and the sight of the next borough ahead. The marathon is now in Manhattan on the Upper-East Side. There is almost complete silence. Nowhere are there people cheering or offering water to drink. This was true in the Los Angeles marathon as well. The people in the wealthy sections of cities never come out to see the runners, while those in the less well-to-do sections support the runners 100%. Unfortunately, the Upper-East Side is where runners hit "the wall," as we approach the seventeen or eighteen mile. Your mind and body give out and you have to push really hard to keep going. Many runners stop at this point. The New York Runners Club provides sponges soaked with water to soften the fatigue. If one makes it through this milestone, you can finish the race. 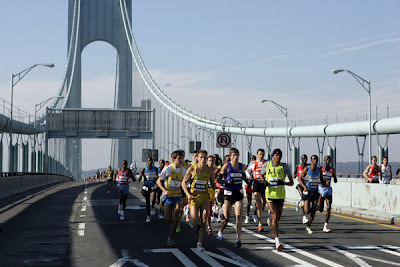 The remaining runners continue across the Triborough Bridge into the Bronx. Here, the enthusiasm and encouragement from the people, once again, spur us on. The run through the Bronx is short but invigorating. I know that I have passed the wall and will finish the race, "come hell or high water.'' We cross the final bridge, the Willis Avenue Bridge into Harlem. Here, the people embrace the runners with heart as they run into the street to offer candy, pieces of oranges, joy and love. The runners who have survived are now on the home stretch. Suddenly one is at the finish line. Everything happens so fast. Pictures are taken of you crossing the finish line; A medal was placed around my neck and I was wrapped in a HeatSheet. I felt numb both mentally and physically, but was also filled with feelings of accomplishment and joy. To top it off, I finished the marathon in four hours and twenty minutes! This became my time at the three other marathons that I ran in later in the year. Once again, I ran every step; I never walked. I started walking back to 92nd and Broadway. My mind was still blank but I was proud of myself. I finished the New York Marathon and that will always be something that can never be taken from me. Back at the apartment, my friends were going out for the evening. I think this was one of the few times that I actually saw them during my entire time in New York. Slowly I removed my running clothes, took a shower and dressed to go to dinner. This seemed to take hours. My mind was blank; I couldn’t digest what I had accomplished. I was back in the moment, and it was euphoric! I found an Italian restaurant, ate as many carbohydrates as I could while staring into space, oblivious to the people around me. By the time I left the restaurant, I felt pains in a few new places. Slowly I climbed the steps to the second floor apartment, fell into bed and almost immediately went to sleep. But not before I took one last look at my medal, put it around my neck and looked in the mirror with a big smile on my face. Of the more than 38,000 runners this year from around the globe, almost half were running the race for the first time. If you missed Part I of Jerry's story Marathon Sunday - From a Runner's Diary, please visit http://www.postcardsfromnewyork.com/. I found myself on an airplane going to New York. I landed at Newark, my friends had told me to take public transportation to the New York Port Authority. Oh my God, from the window of the bus I saw the magnificent New York skyline, the Chrysler Building, the Empire State Building, the World Trade Center. I was in New York! I got off the bus at the Transit Authority and hailed a cab. Under a mosaic that said New York City, I saw a homeless man fast asleep oblivious to the city's noise and bustle. Now I was in New York! My friends, Al and Donald, lived on 92nd between Amsterdam and Broadway; having a key I let myself into the apartment, since they were at work. I immediately brushed my teeth, went out to Broadway, hailed a cab and I went straight to Tiffany’s to look in the window with a cup of coffee in hand; just like Holly Golightly. As a huge sports fan I had often heard how teams on the road lost their focus. I could never understand what it meant. Each morning I got up at 7am, entered Central Park at 86th Street, and ran around the reservoir. After a quick shower back at the apartment, I was off to continue my adventure in the greatest city on earth. I saw every tourist spot it was possible to see during the day, and went to the theatre every evening. I even went to the Met to see "Aida." Here I was, a kid that lived on a farm in a town of five hundred at the Met. I did manage to take time to register and pick up my goodie bag at the New York City Marathon headquarters. Inside the goodie bag was a souvenir shirt, official program, tickets to a carb loading dinner the night before the race, and many snacks provided by sponsors of the race. On Saturday, the day before the Marathon I took a train to Princeton to see an Ivy League football game. When I arrived back in the city, I knew I should be in bed early, but instead I went to the top of the Empire State building. Below me, the city lights glittered like diamonds in the dark. Suddenly I realized, I had lost my focus. I forgot the reason I had come to New York. Immediately, I left the Empire State Building, found an Italian restaurant, loaded up on carbohydrates, took the subway back to the apartment and I went to bed. Next morning, the alarm rang at 5am. Lying in bed, I took a deep breath while thinking; this was the day I had prepared for months. It had arrived, and it felt so surreal. I put on my jogging clothes and I was off to the subway. At each subway stop dozens of men and women got on wearing jogging clothes. Hundreds of riders in jogging clothes cramped together on the train made the situation only more surreal. I looked down at my watch, 6am and I was on Staten Island surrounded by thousands of other runners. 12,000 men and women were allowed to run the marathon by the lottery. A feeling of pulsating anxiety mixed with joy was in the air. We were like 12,000 horses ready to run the Kentucky Derby. The press with cameras and news trucks was there. I took every opportunity to be seen on TV. People were drinking Poland Springs and Gatorade, and eating power bars, donuts and bagels, provided by the New York Runners Club. Of course there was a long line to the Porto Potties. The Statue of Liberty looked down on us with a big smile as the time neared the start of the Marathon, 9am. The New York Marathon is an amazing event that attracts over 300 million viewers in 125 countries around the world as well as the more than 2 million spectators who line streets and bridges to cheer on runners of all ages. The oldest participant this year was 88 years old! 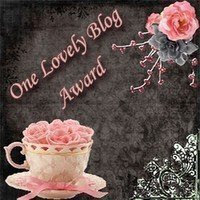 We are delighted this month to feature articles by Postcard readers. Jerry Petrasek lives in LA. We began corresponding after he emailed to tell me "I Love Postcards from New York." When I discovered he actually ran in the New York Marathon, I asked him to write about his experience. He said he had never written anything before. I said;"Just write what you have described to me." Here's his story in three parts. My marathon running began as pure compulsion. The year was 1985; I had just entered therapy as a three pack a day smoker. The notion of a chemical imbalance in the brain was unknown. I lived life with passion, which I still do. I love people who live each day as though there might not be another. My therapist made me feel smoking was wrong; he simply said "there will no smoking during my sessions." My life started to change. I wanted to be a better Jerry. I joined a ski fitness class at the Hollywood Y, I didn't ski at the time but that was my only choice, aerobics had not been discovered. My smoking quickly began to decline. How could I improve my life if I continued to smoke; suddenly smoking and running did not make sense. Little by little running took over my life, I admit in part because I am compulsive. I went from being a three pack a day smoker to a gym rat. Some of the people in the ski fitness were avid runners. Each Sunday morning they would run three miles up a steep hill in Griffith Park and back down. I had been someone who stayed up at night on weekends until 2am and slept most of the day. Now I was in bed by 10pm on Saturday night and out of bed at 6am the next morning to run. I now entered my next stage. I had been a compulsive movie watcher, living life through movies. It soon became clear I would have to choose between movies or devoting most of my free time to running. I chose running. The next step was doing 10ks. Los Angeles was to have their first marathon in March of 1986. I knew that I would have to run the marathon or I would feel I had let myself down. Training for marathons normally start three to six months before the event. It was January. Despite the short time I would have to train, I decided to run the marathon. I believed I could do it; I was now an avid runner. I found training brochures at Cedars Sinai Hospital and started training and made minor changes to my diet. Three months later, I ran the marathon, finished in five hours and twenty minutes. I ran every step. I did not walk one step. The following month I heard about the New York Marathon. This was "the big one" where runners are chosen by lottery. I decided to submit an entry. A letter from the New York Runners Club arrived in May. Anxious and terrified, I decided to open such an important letter I should be sitting with a cup of coffee near by. I did the ritual and I opened the letter. To my surprise and delight, I was going to New York! New York was bigger than life. It was a mythical city that I had only dreamed about, having spent my life to the age of eighteen in a town of five hundred farmers in Southern Oregon where I didn't belong. New York was the myth that I had seen over and over again in the movies which had been my escape. I followed the training guide and ran each day. Every day I would increase the distance I ran. It soon became apparent I would not be able to run the correct distant during the day due to work so I rearranged my schedule so I could run at night. Soon I was running one hour every evening in areas I would not have gone into during the day. I was possessed. Finally, I had my last day of training in Los Angeles by running a half marathon.